Shortly after the fabo table raising, our weather turned cold with a killing frost so the short sleeved shirts were no longer a priority. So I went into the kitchen and started a daily regime of cooking. And it was wonderful! My figure doesn’t look “wonderful” but we’ve had some great meals. And sadly my hair dryer from the late 60’s stopped working very well so I bought a new one. I use 3″ rollers on my curly hair, weekly I sit under the dryer. I was lost. My old dryer was the Max Hatter Hairdryer by Gillette, purchased for probably $20 way back when. Anyway my choices for replacement are limited because of the size of the rollers I use and I bought a Carel Soft Bonnet Ionic Hair Dryer from Sally’s Beauty Supply in town. I used it carefully for 7 weeks and would have to turn the heat down to medium or low to cool off quite frequently. But one day in mid October I fell asleep and when I awoke 1.5 hours later my hair was dry. And I was blistered. Edited to add: The dryer was set on LOW during the nap! 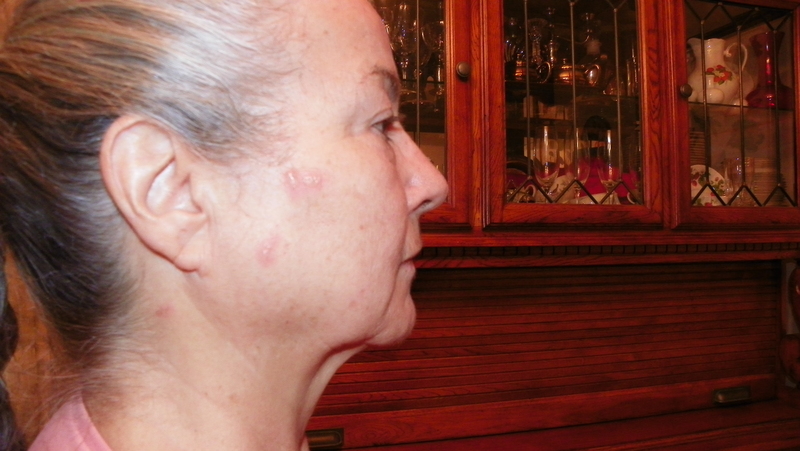 As the day wore on more blisters appeared in my hair and even where my ear joins mi cabeza. That one is still inflamed and hurts even now. So, now, 3 weeks later the scabs have finally gone and I don’t think I will have scars. Sally’s kindly refunded the purchase price even though I had tossed the receipt and I bought a stand dryer which barely fits over the rollers but works. And the heat level is much more controllable. Because I have to sit in a chair to use it I am safer in that I won’t likely fall asleep. Anyway, I decided to see if I could replace my beloved old hair dryer today because I miss the weekly nap in bed under that old dryer, and guess what I found? A CPSA recall report that it was discontinued in 1974 because the manufacturer had used asbestos insulation. So I’ve been blowing asbestos into my face for years. I’m not feeling too smart at the moment. OK, I’ll stick with more current appliances! Anyway, the result of having to deal with 2nd degree burns was that any kind of malady in my body and environment saw me as fresh meat and I had a lot of low energy and viral outbreaks. Obviously I have no immunity to speak of. So I’ve stayed away from all humans and that means I’ve been house bound. Thank goodness I have a partner in life who can go to the grocery and pharmacy on his way home from work. Thanks, Honey! I’m hoping to be feeling back up to speed soon. Posted in Beauty, Curly Hair and tagged beauty, Cancer, Curly Hair. Bookmark the permalink. 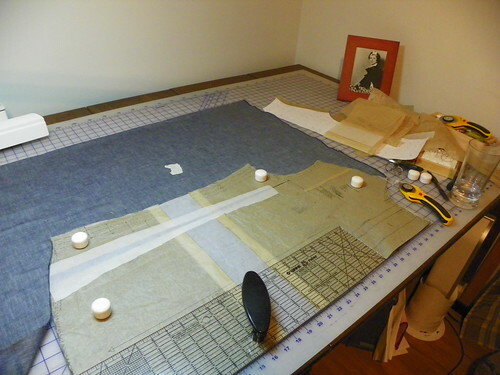 In all my years of sewing I have never had a cutting table at a proper height for my 5’2.25″ frame. I now have a table set at 36″, right at my waist. I had to dance! Thanks, everyone, for all your suggestions for raising a cutting table! Wonderful ideas, all. 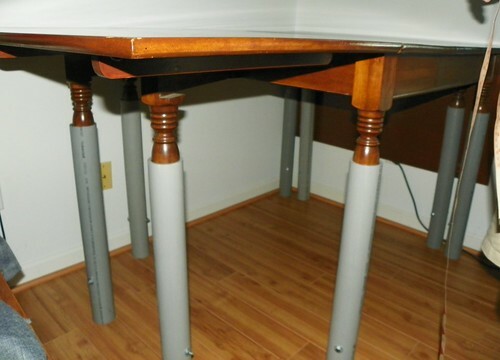 I got a few minutes with my husband and we decided to try the leg sleeves of PVC on my husband’s Mother’s old dining table if we could find the correct interior diameter of PVC. Tonight my husband brought home eight 2.5 inch in diameter PVC pipe, cut to 25.5″ long sleeves to fit over the highly profiled table legs. 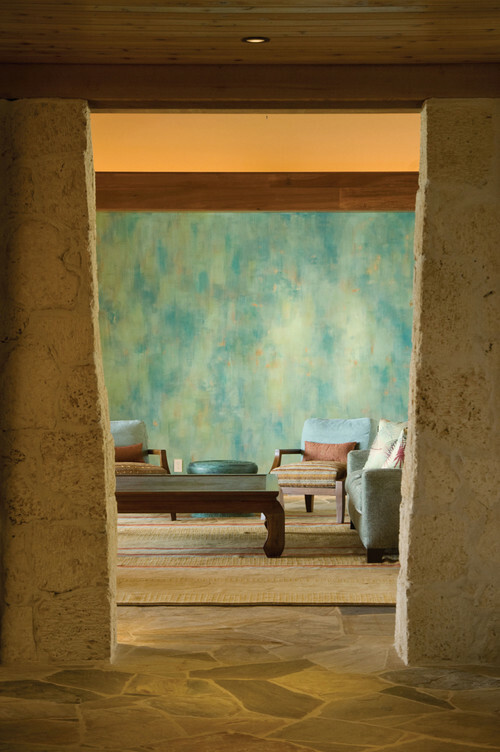 The table has two drop leaves and one insert leaf so it is very versatile for a small space. A hole was drilled through the pipe, offset so that the leg would sit on top of the bolt exactly 5.5″ from the floor. Our main concern was finding PVC with the proper interior measurements that would let it slip over the legs and not grip or be sloppy. We found the 2.5″ diameter would have an interior measurement just approximately .025″ larger than the widest part of the legs themselves. Perfect! The table top is now at 36″ from the floor. 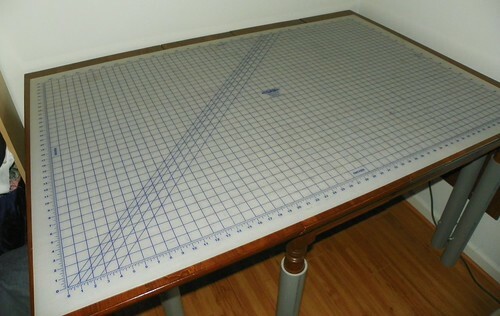 In this configuration the table top measures 62.5″ x 43.5″ and is covered by a mat gridded by inch to 36×56. 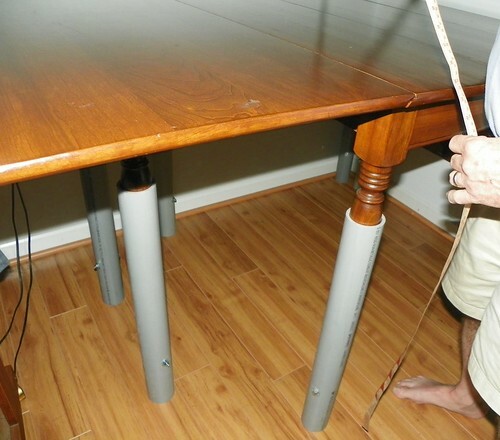 There’s now even more storage space under the table. 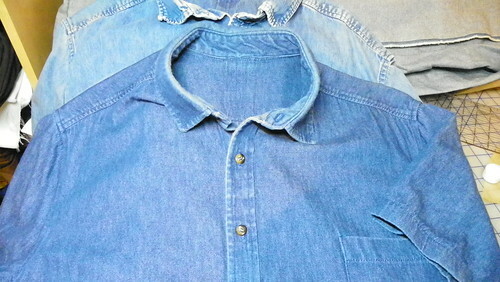 Ah, so now I can finish making a certain husband’s new shirts. This worked out just right. 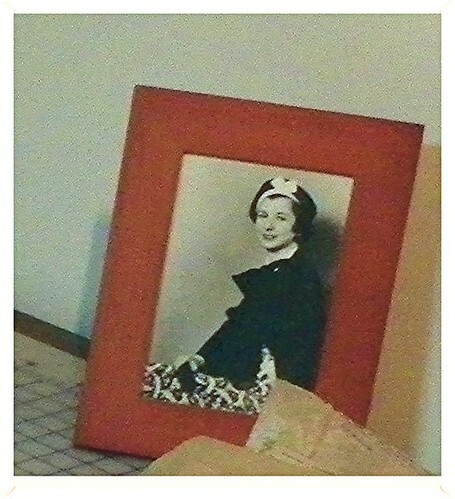 Posted in Sewing Space and tagged Sewing Ergonomics. Bookmark the permalink. Ouch, I need a break, lots of them! Lately it’s almost impossible to cut more than 1 piece before my back is in spasms. I cut, I go sit. Over and over. I don’t remember having this happen before, usually I can push on through, not right now. Ever had a project become bogged down from surprising circumstances? Well, the mind is willing, even if the body is not. 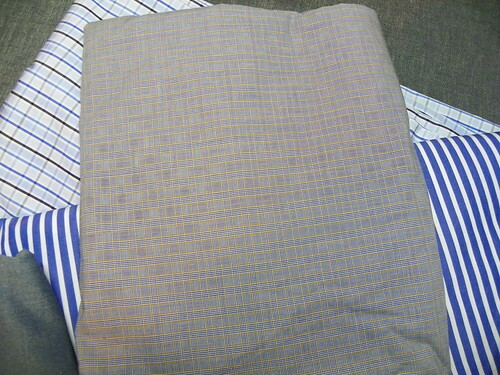 I decided to make the job even worse by pulling the fine shirtings that have been waiting for years upon the shelves. I always like to cut as much as possible from the pattern before me, it makes more sense than cutting one garment and searching for another pattern, ’cause I can take for—ever to decide what’s next. It’s bad. And old production habits die hard. 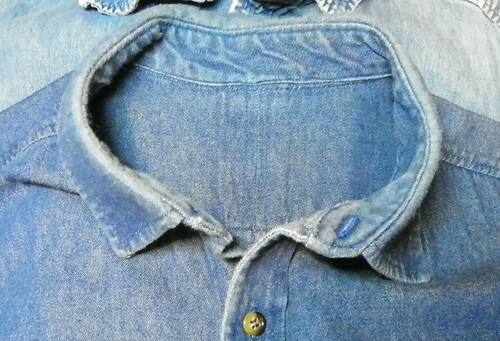 This last piece is the most unbelievably silky hand, the finest denim I’ve ever seen. It may be too good for this pattern. Maybe I should wait to cut this when I find or draft the most amazing shirt ever? Yeah, probably. I bought it from The Wool House in Toronto when I went to meet Els and Lorna in 2011. 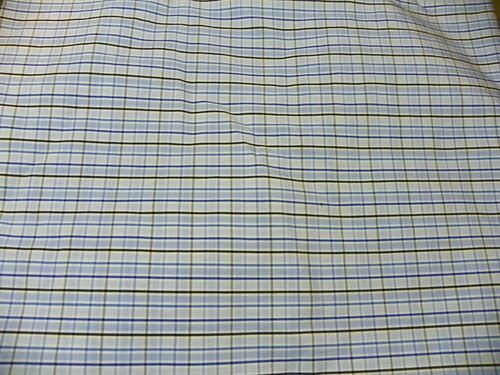 This is seriously fine cloth and most likely from Italy, since that’s where their fabrics are supposedly sourced. So, I’m cutting slowly and wondering how to get this table raised when I really don’t have the bricks or vegetable cans to put under the legs. 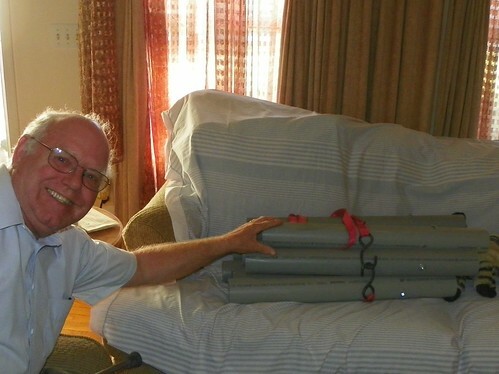 Oh OK, I should go buy the 5″ tall cans and insist that my husband help me get them under the table legs. A woman’s got to do what a woman’s got to do. Well, if he wants the shirts, right? Posted in Fabric, Sewing Friends, Sewing Space, Shirtmaking, Work Shirts and tagged Denim, fabric stores, Man's Shirt Sewing, Work Rooms. Bookmark the permalink. 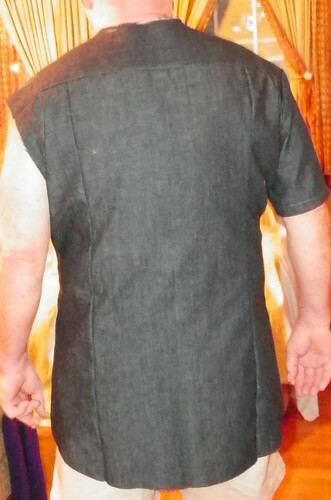 I cut the original pattern with no adjustments in size 46 in a light blue cambric pinpoint and we had a try on. I hated it! 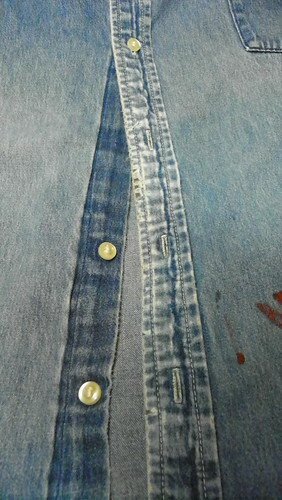 It looked like a school boy’s shirt but maybe that was because of the traditional fabric. 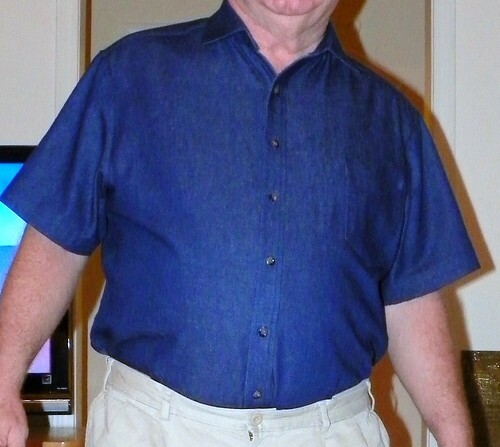 And it was not appealing because it didn’t look like a proper “work shirt”, I could see this style cut with the mandarin collar but not with the collar and stand as I need to make. The yoke is drafted to seam at .5″ below the shoulder point, not dropped like a proper yoke, the sleeve has enough ease in it that there might be gathers when inserted. 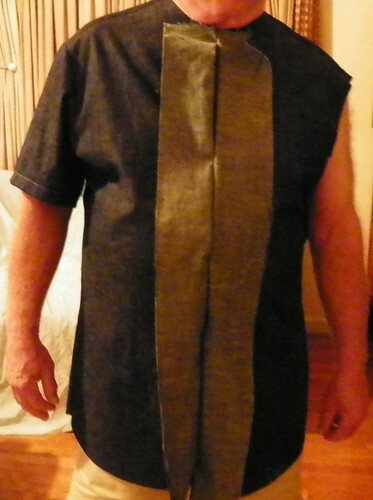 But oddly enough the collar might just fit my husband’s 18.25 inch neck. I wish Vogue would print the collar length on the pattern somewhere so that those of us who are serious about making a fitted man’s shirt could chose the proper size. But they don’t. I don’t trust my measuring ability to accurately tell me just exactly how long that collar is. Between the pattern’s tissue paper that is inaccurate by it’s very nature, and the exact placement of a measuring tape, millimeters can be lost or gained. Ah, well. No shirts are built by stressing over the small details, right? But I did have my day of pouting. 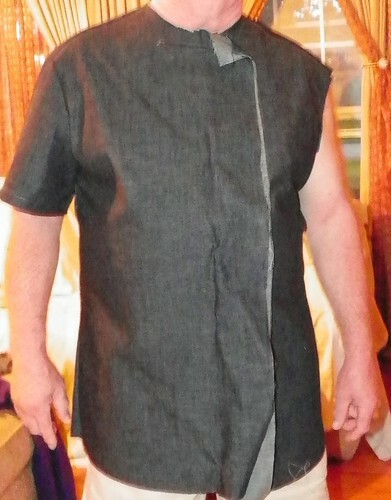 I lowered the shoulder seam line and by like subtraction I extended the shoulder yoke, shortened the shoulder seam, cut the armscye lower and wider, added fabric over the torso, and added 3″ to the length of the garment. I did not alter the sleeve pattern. 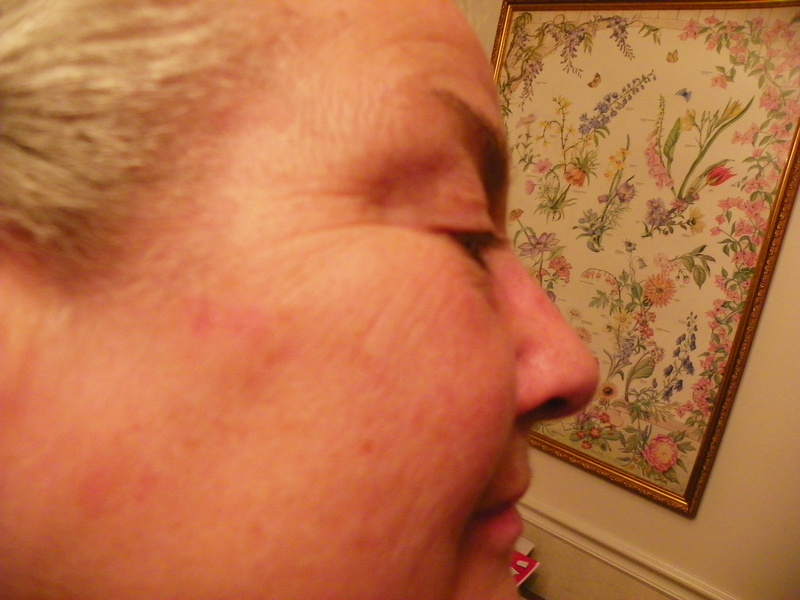 And I did not alter for my husbands dropped shoulder and leaning stature. These details of sewing for him have completely stopped my suit making. One day I will overcome. Pray for me. I cut the cloth and basted the shell together. It looks like the sleeve could be rotated in the armscye a touch towards the back. How odd. 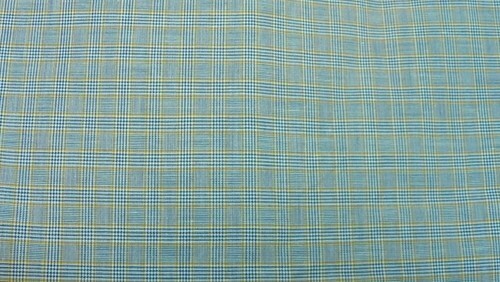 This sleeve has a high cap, again that’s odd considering that most men’s shirt patterns have a flat sleeve cap. But that’s why I like this patten: it has a taste of side shaping, and high and tight armscye, a long collar band and some shape and finesse to the sleeve. 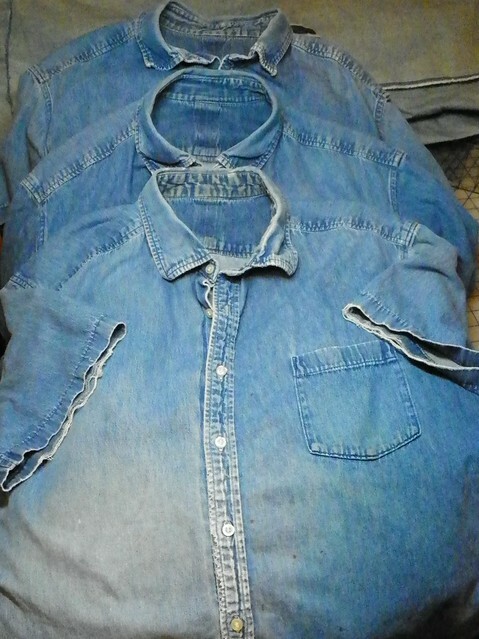 So Onward I go, now to cut 4 more shirts as accurately as possible from a tissue. I don’t know of a garment that needs the most accurate and nuanced cutting as a man’s shirt. And for a picky man, the bottom line is how comfortable it feels, who can blame them? 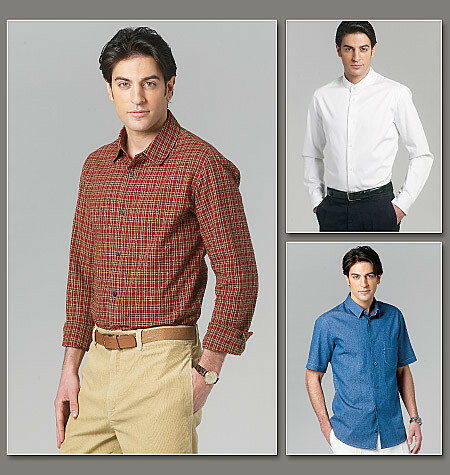 Posted in Men's Dress Shirt, Pattern Reviews, Shirtmaking, Work Shirts and tagged Man's Shirt Sewing, Pattern Reviews, Sewing, Work Shirts. Bookmark the permalink. Oops, did I really say that? Well, yeah, I did. So now that I’ve gotten that off my chest here’s the facts, Ma’m. Finding good denim is tough! I have been looking for the last 5 years, through all the fabrics stores I’ve hit during business travels across the country, and by ordering swatches from Mood (thanks for the suggestion, Becki!) as well as other sites. 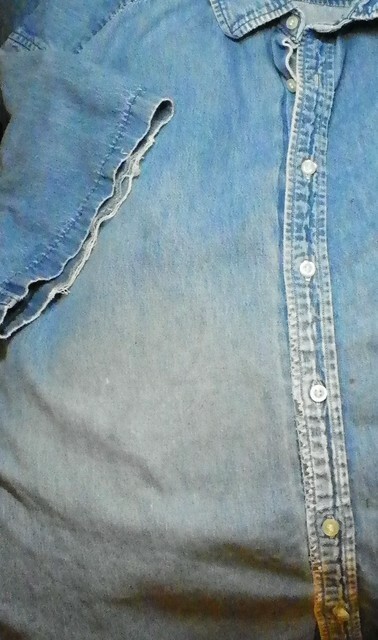 I have bought denim for commercial and other uses so I’ve been around, loosely, er, loosely speaking, tasting all the denim I could. The problem is that almost all vendors don’t know how the denim will perform over the years. They may not know the source of it in the first place. I tend to hang with my good friend Ann at GorgeousFabrics.com. 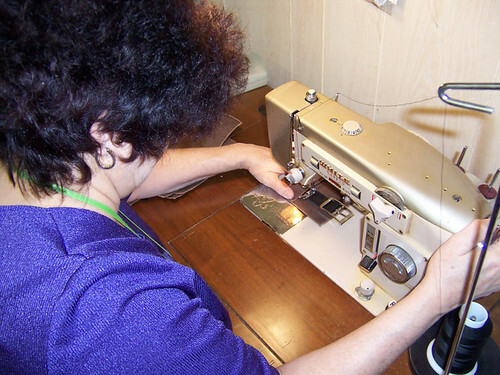 She’ll know her source if she can and she sews the fabrics she buys. 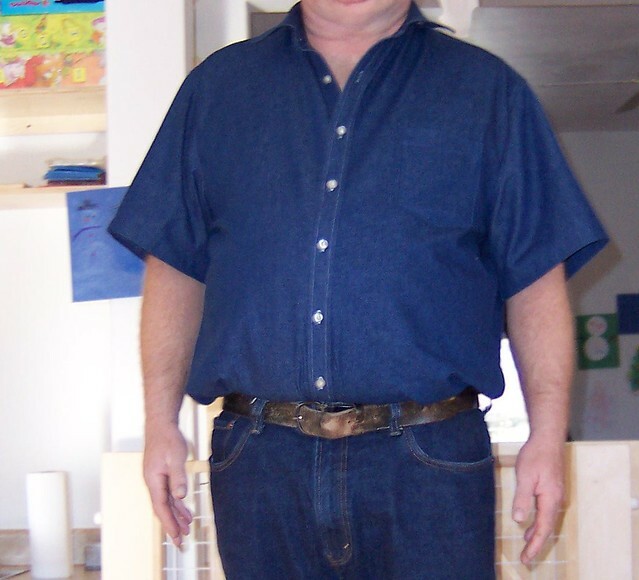 So I’ve made 3 to 5 yard denim purchases over the years from everywhere, and even bought out the last bolt of very dark wash, heavy shirt weight, denim from Textile Fabrics in Nashville. It was the closest thing they had to what I needed. A binding, seemingly insurmountable problem has been that Mr Stitch turns out to be very picky in his choice of colors. He couldn’t use the light blue that has recently come back into fashion nor was he remotely interested in black. Oh, no. He has a total thing for blues. The color, not the music (darn it all) and he’d probably like the blue used in this paragraph. Strong like Bull, stubborn like Ox. 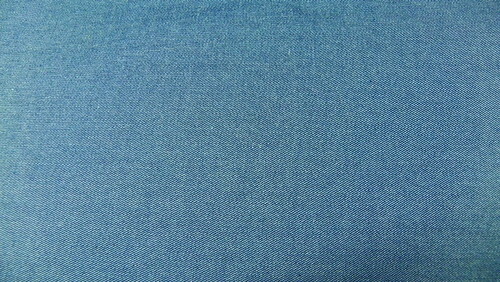 So my 13 yards of very dark wash, slightly brushed for softness, yet close weave chambray (AKA Cambric) denim from Textile Fabrics has languished on the shelf, awaiting inspiration. 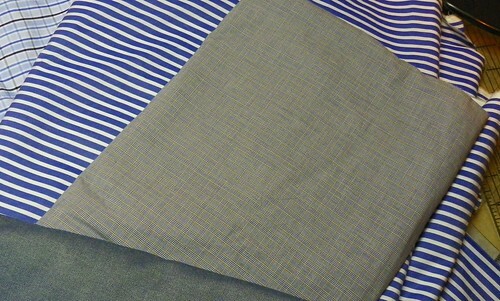 Desperation inspiration struck yesterday and 5 ripped sections of 60″ wide, 50″ in length yardage have been washed, dried and ironed. The left over 6 yards is washed and folded. Then I found my packet of patterns and notations and OLD SCRAPES from the years of shirt making for Mr Stitch. Moving a work room is something that curses you for years afterward. No matter how hard you try. Remember this. So late last night, I learned that my favorite pattern (I’d even forgotten I had numerous patterns, commercial and custom drafted) (I blame it on the chemo, so much got wiped out) calls for 1/2 yard more than the 5 segments I’d ripped. Yeah, well, I might be bummed. I’ll have to do the layout with his alterations incorporated to see what I shall see. That’s on the menu for today. The good news is that I have in my greedy little paws a whole ** load of ProWOVEN Super-Crisp Fusible Interfacing that I am really anxious to use in the collars ’cause that ironing last night and coming up during construction is probably the last iron these shirts will see. And SCRAPES. Gosh darn it where have these been hiding? I could have sent one off to Ressy, as Elaine Good suggested yesterday, many years ago and saved myself a ton of fabulous denim research. Or not. 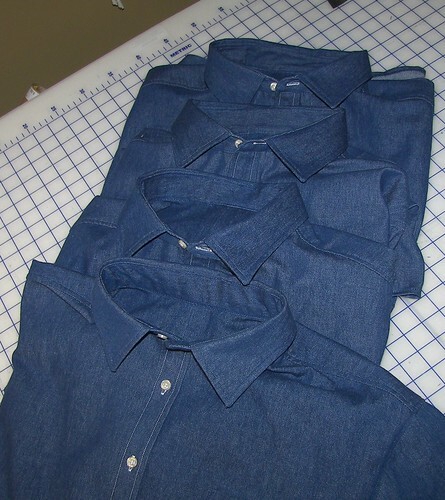 Posted in Sewing, Shirtmaking, Work Shirts and tagged Denim, fabric stores, Stash, Work Rooms, Work Shirts. Bookmark the permalink.